Meta Therm Furnace Pvt. Ltd is recognized for delivering premium quality rotary furnaces to its clients, and it has made us one of the prominent Rotary Furnace Manufacturers In Mumbai. 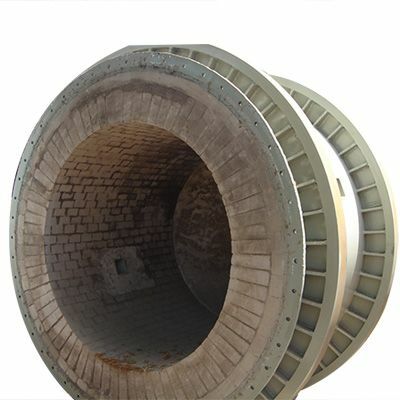 It is a barrel-shaped unit which rotates around its axis during heat treatment of the metal. It is also tilted at regular intervals to ensure the passing of work-piece from one of the barrels to another. The processing gas is either passed in the opposite direction or in the same direction as of the metal being treated. Our Lead Rotary Furnaces are also appreciated for their flawless functionality. We have also loaded these with the latest technology to keep you ahead of the curve. Intelligent Design - They are designed to enable ideal heat treatment for better mixing, faster melting of the metal and greater recovery of the metal. Improved Productivity - You notice a considerable improvement in productivity after including this industrial furnace in your inventory. Labour Savings - As most of the process is automatic, you wouldn’t need as much manual labour. It also means a clear benefit of low-cost operations. Our company has built its reputation as one of the leading Rotary Furnace Exporters and Suppliers in India. Talk to our executives to know more about our products.